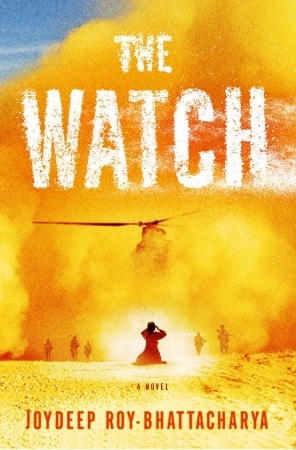 The Watch relates the account of an incident during the Afghan war from multiple perspectives. A legless woman, called Antigone by the other characters, has dragged herself over twenty kilometers to an American outpost, in order to request the body of her brother for a proper burial. Her brother, however, is a suspected Taliban insurgent, and higher ups have ordered the American soldiers to send the body over, so that they can have incontrovertible proof of the man’s death. The soldiers also view Antigone with suspicion — is she really there for her brother, or is she a Taliban decoy? Seeing the story first from Antigone’s perspective, then from the perspective of various soldiers, reveals how complex the situation is, and how horribly war affects people on both sides. It’s pretty powerful material, and raises some important observations about the experiences of war. There are things I liked about it, and I could see what Roy-Bhattacharya was trying to do, but overall, the book just didn’t really grab me. I think it may be a matter of personal preference, and I can see other readers being really affected by this book, possibly even having their lives changed. The woman’s name is Antigone, and that’s pretty much an indication of the style employed in the book. The language is lyrical, the first chapter in particular, which was narrated by Antigone, highly emotional. The other chapters, all in first person narratives, with the narrator generally identified by his rank, each had its striking, poignant moments. For me, the glimpse into each character’s experience of Antigone’s stand is not as interesting as the glimpse into each character’s back stories. A couple stood out — the story of a soldier who had met his girlfriend in a classics course, and whose girlfriend had left him while he was stationed abroad, and the story of the Afghan interpreter, who faced derision from the American soldiers with him. The overall story picks up as well in the end, particularly with the chapter from the captain’s perspective. That final chapter gives a rather harsh commentary on chains of command and the dictum to soldiers to obey orders without question. When lower ranking officers raise reasonable objections to unreasonable orders (i.e. to withhold the brother’s body from Antigone), when they argue for idealism, and when the higher ups are revealed to possibly have hidden agendas, the entire structure and purpose of the American garrison in Afghanistan is challenged. At the same time, however, particularly in the final chapter, you can’t help but be caught up in the fear and paranoia — who can you trust, in a situation of war? Overall, however, while each chapter had its interesting moments, the consistent shifts in viewpoint kept the story from really gelling for me. Aside from the Afghan translator and Antigone herself, I found it difficult to tell the other characters apart. I’m sure the various narrators showed up again in other chapters, particularly in the last one, but they were generally so interchangeable that I found it difficult to recognize and therefore care for each soldier beyond his own chapter. Overall, the characters were more like tropes than people — this is most probably deliberate on Roy-Bhattacharya’s part, given the association with Antigone, but it kept me detached. Thanks to Random House Canada for the ARC of this book, provided in the goodie bag at the awesome RHC Blogger Love Fest. This entry was posted in Book Reviews and tagged 50BookPledge2012, ARC, Fiction, Random House by Jaclyn. Bookmark the permalink. This sounds like an intriguing and challenging read, but like you, I’m not sure that I’m the right reader for it. I love lyrically written books, but I struggle with anything set during war-time.